The SO-GEL NANO technology is currently being internationally recognized as the most promising and valuable in new materials development and product development. This technology allows small particles (each is smaller than 100 nm) chemically bonded. The chemically bonded particles have the ability to suspend in the liquid to provide the characteristic of being transparent to the eyes, called SO-GEL NANO. The SO-GEL NANO technology is very mature. As a result, the application of this technology is widely used in various industries, such as optoelectronics, electronics, and chemical industries. Here are some specific products using this technology in the foregoing industries, such as transparent conductors, electrochromic glasses, light laser, etc. 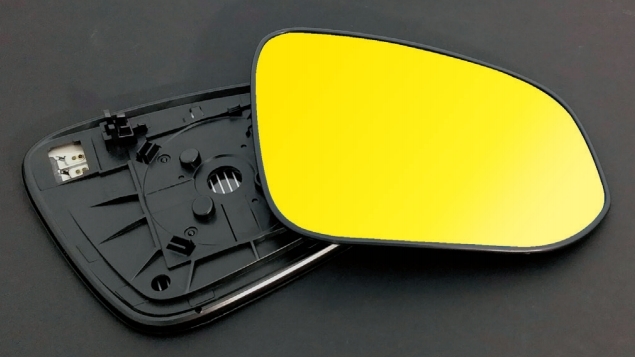 The materials not only can absorb the ultraviolet, infrared reflection, the materials can also produce glasses coated for anti-reflection, antireflective, anti-UV, etc. To summarize the advantages of SO-GEL NANO technology over the conventional vacuum coating technology, the SO-GEL NANO technology can produce supreme products that the conventional vacuum coating technology is incapable of. Here describes problems of blue mirrors produced by a method called vacuum coating. 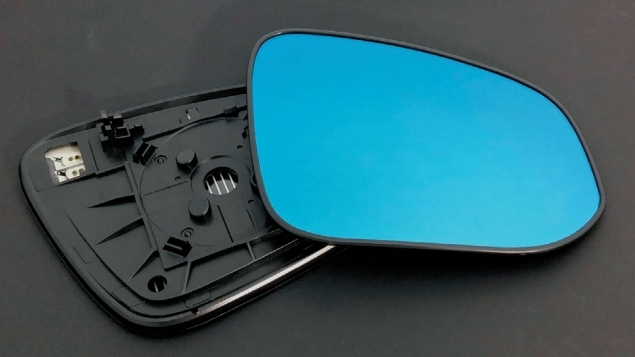 Most of conventional blue rearview mirrors available in the market are produced via the method of vacuum coating. For this method, a first layer of chrome is coated on a mirror prior to a thin second layer of blue coating is coated on the first layer of chrome. Often time mirrors have dirt or dusts on thereof. As this method applies on these mirrors having dirt or dusts, adversely the dirt or dust is also coated on certain surface areas of these mirrors. As a result, the blue coating cannot be firmly coated on the surface areas of the mirrors where consisting of dirt or dusts. Consequently, after normal wears and tears, such as wiping and washing the mirrors, the blue coating disintegrates from the mirrors. This negative effect is called “ pinholes “ in the industry. Furthermore, it is well known that corrosion resistance of blue mirrors, produced via the method of vacuum coating, is weak. As these mirrors under a long period of rain, sunshine, and treatment of chemical cleaning agent, the color of blue coating is easily faded, especially the LED portion of the mirrors. In addition, the LED portion is easily scratched because the LED portion has a thinner coating layer that allows light transmittance. Because of the thinner coating layer, the surface hardness of the LED portion becomes weaker, resulting in being easily scratched.